Help yourself to your very own slice of sweet, sugary satisfaction! This decadent delight from the Double Drip lab mimics the taste of a real Cherry Bakewell so..
Get hooked on Double Drip’s Crystal Mist! 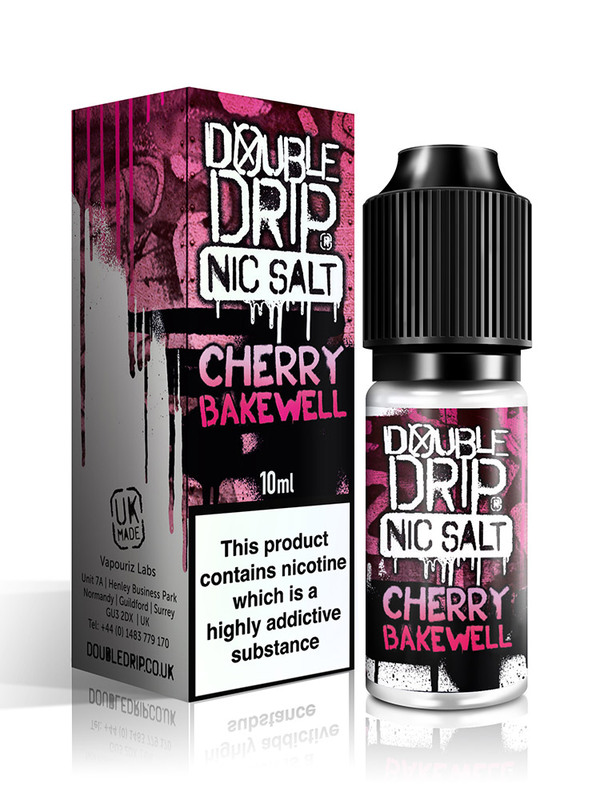 An icy blend of tangy blue raspberry and decadently-ripe cherries with a hint of revitalising menthol, this nic salt m.. This luscious, lemony liquid from Double Drip’s nic salts range combines pleasantly-bitter lemons with fizzy rainbow sherbet for a tantalisingly tingly taste! L.. Enjoy the deliriously-refreshing taste of Double Drip’s Menthol Mist, with its potent notes of sweet peppermint and ice-cool menthol. Expertly blended for vaper.. This drool-worthy blend of tarte raspberries and fizzy rainbow sherbet is brimming with layer upon layer of Double Drip decadence! Raspberry Sherbet is an indul..
Super Berry Sherbet nic salt is a delightful blend of seven red berries generously dusted in a layer of sugary sherbet. This juice promises to produce billowing..